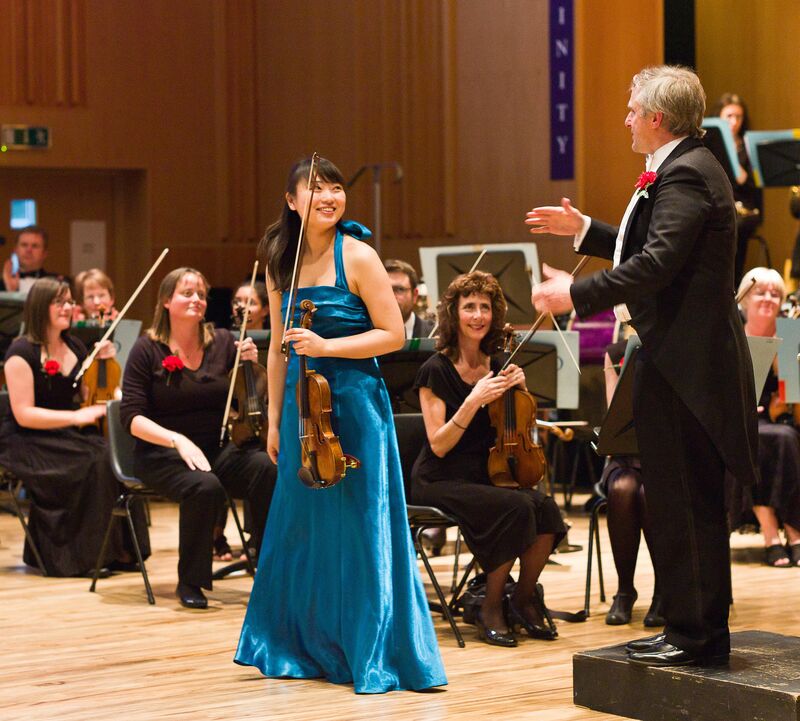 Croydon Symphony Orchestra is one of South London’s leading amateur orchestras. The Society was founded in 1920 by Dr.W.H.Reed, from the String Players Club that had been formed in 1905 by Samuel Coleridge-Taylor. After the founder’s death in 1942, no permanent Musical Director was found until Norman Del Mar was appointed in 1947. This marked an expansion in the work and repertoire of the orchestra with emphasis on contemporary music. Arthur Davison was then appointed in 1958 and under his expert guidance the standards and status of the orchestra rapidly rose and many first performances of modern British works were given. Together with the Croydon Philharmonic Choir, the Acoustic Test Concert was given in the new Fairfield Hall in 1962, followed two years later by the Fairfield Hall Organ Inaugural Concert. Both were conducted by Arthur Davison. We were saddened by Arthur Davison’s death in the summer of 1992, his son Darrell was quickly appointed as Musical Director, a decision that met with the unanimous acclaim of the orchestra. During his career, Arthur Davison was awarded the CBE for his services to music and his work with young musicians and the orchestra has been keen to continue this legacy. Much encouragement is offered to young people in the form of playing membership, by means of grants and by holding the bi-annual CSO Croydon Concerto Competition. The winner receives a cash prize and the opportunity to perform at one of our concerts at the prestigious Fairfield Hall, Croydon. Previous winners have gone on to enjoy successful careers as soloists:- Thomas Igloi (cello-1965), Kathryn Stott (piano-1977), Alan Brown (piano-1975), Piers Lane (1980) to name but a few, and the orchestra is proud to continue its association with them. Three regular concerts are presented each year, in November, February and during the Summer.